AT&T’s iPhone tariffs just got a big makeover … or possibly a downgrade in performance, depending on how you look at it. 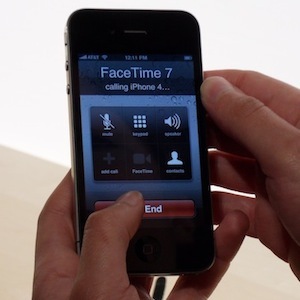 The iPhone 4 is driving the changes, and it actually tells us a lot about how we’ll use 4G smartphones. burden on the already frail AT&T network. But which of these arguments makes sense? number to Facebook or YouTube. This is thanks to the iPhone 4‘s new cameras. The rear camera takes 5-megapixel stills, trouncing many user’s pocket digital cameras not so much in terms of optical performance (though the unit does seem to take great photos) but because it’s so much more convenient to have in your pocket. Since it’s a device that’s permanently connected to the Net, uploading photos to services like Flickr or Twitter’s photo apps will be a common act. The fact it can shoot 720p video and edit it in-phone will also be a boon to many casual videographers, and their clips will surely end up online at Facebook or YouTube in ever-increasing numbers. Both these features will soak up valuable 3G data bandwidth. Throw in the tweaks to the iOS software that’ll drive every iPhone, including older ones, enabling tricks like multi-tasking always-on GPS checkins to services like Google Latitude, and the new Netflix app (which GigaOM has calculated will eat up 84% of the cheapest AT&T monthly data allowance in just one hour of viewing) and you’ve got a huge uptick in the data traffic AT&T’ll be routing through the airwaves. Making as much money as possible out of this trend is an obvious thing for a publicly owned company to aim for. Meanwhile over at DesignByGravity, they’ve got a completely different counter-argument. While it’s kinda understandable that AT&T’s charging more for high-consumption data users, they argue it’s a ridiculously short-termed bit of thinking. Instead of discouraging users from using lots of mobile data, with expensive fees, they should be actively encouraging it with attractive fee structures for higher data consumption. Why? Because then users will use their smartphones for more and more things in day-to-day life (continuing the trend that’s already underway), getting increasingly hooked into the usefulness of the devices. And then paying for lots of data access will actually seem like pretty good value for money. By pricing carefully from low to high data consumption, rather than pricing for the lowest common denominator like its new plans seem to, AT&T could actually make more money than it does now. It’s a shame, but AT&T’s unlikely to make this sort of move, given its difficulty delivering futuristic tech in a futuristic business-thinking style– “tethering and MMS,” anyone? But eventually, they’ll probably will have to re-think some of their old money-grabbing provider ways. iPhone 4 use will be a forecast nearly all future 4G smartphones activity, with data-based consumption being the primary measure of use.